We get asked a lot of questions about who we are and the services we offer. To help answer your questions please find answers to our frequently asked questions below. Should you have any questions not answered below we would love for you to get in touch. We are based in the UK with staff on the ground in China. Click here to meet “The Team”. What kind of products do you source? We specialise in setting up the production of new products, but we also can source pre-existing products. Please see our Case Studies for more details. What budget do I need to have? That’s a tricky one to answer. As a very general rule you need a spend of £5000. What quantities do you I need to buy? Really this depends on the factory and the product. Again, as a general rule, about 1000 pieces is the normal Minimum Order Quantity (MOQ). However, this is not always the case and can – through our existing relationship with the factory – be negotiated. What about samples and prototypes? We strongly recommend that our customers get 2/3 samples from the factory before going ahead with the full order. In fact, for certain products it can be necessary to get multiple samples and you should factor this in the your budget. Sample cost is factory prescribed but we normally estimate it to be the individual unit cost multiplied by three. Prototyping is part of the sampling process. Different projects will have different timelines, but a good rule of thumb would be 2/3 months from receiving your order. We will take care of everything including arranging the logistics (the freight from the factory to the port, the shipping to the UK and the delivery from the UK port to your address – including taking care of any duties). Please see our “Project Structure” page for a breakdown of a standard product timeline and how we would normally manage a project. Please see our “Project Structure” page for a more in depth breakdown of how we manage an average project. Every project is different, but this will give you a rough outline of the process. How much does it cost? We vary our model depending on the size of the order, but we normally take a flat ten percent of the cost price. Shipping and import taxes are passed along with no additional cost. With very large orders we will discuss this on a case by case basis. 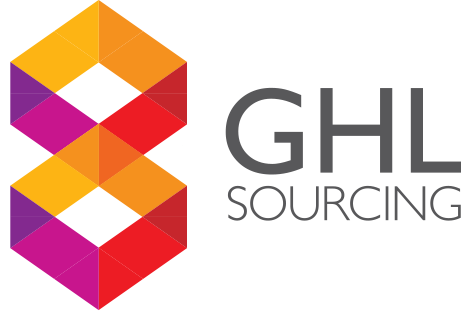 WANT TO KNOW MORE ABOUT HOW GHL SOURCING CAN HELP YOU TO GROW YOUR BUSINESS?